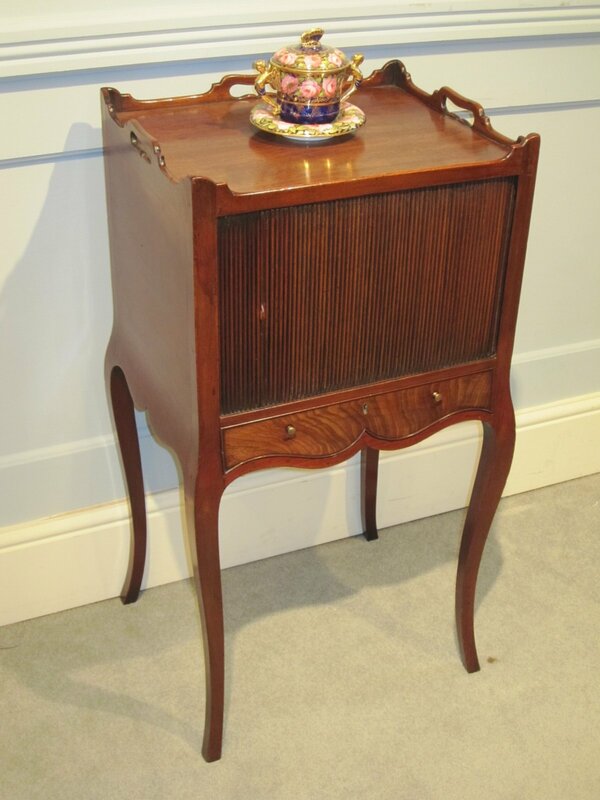 A FINE FRENCH HEPPLEWHITE MAHOGANY TRAY TOP NIGHT TABLE. CIRCA 1775. The oblong shaped gallery top with carrying handles over a tambour front single cupboard and over a shaped single drawer an raised on cabriole legs.